The Tibetan Youth Congress the largest exiled Tibetan organization dedicated to Tibet’s independence unveiled at a press conference, held yesterday in Dharamsala, Northern India, plans for three days of rallies, a peace march and vigil in Delhi to commemorate the 60th Lhasa Uprising on March 10, 2019. With Ms Tsewang Dolma, one of three Tibetan Youth Congress activists on hunger-strike having earlier today been taken to hospital, the protest continues to demand action on Tibet from the United Nations. 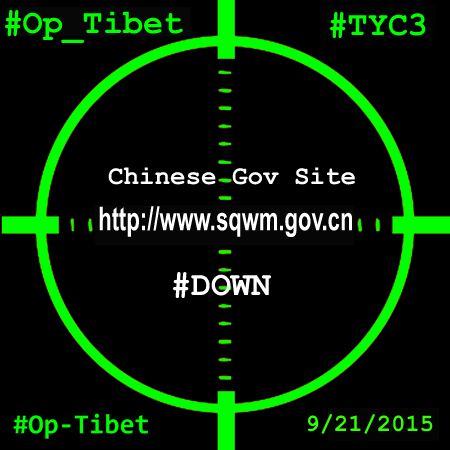 Yesterday the Regional Tibetan Youth Congress Wisconsin launched a campaign to phone bomb (September 30) the UN with the demands being pressed by the #TYC3. 1. Urge the United Nations to raise the issue of Tibet at its General Assembly and Human Rights Council Session. 2. 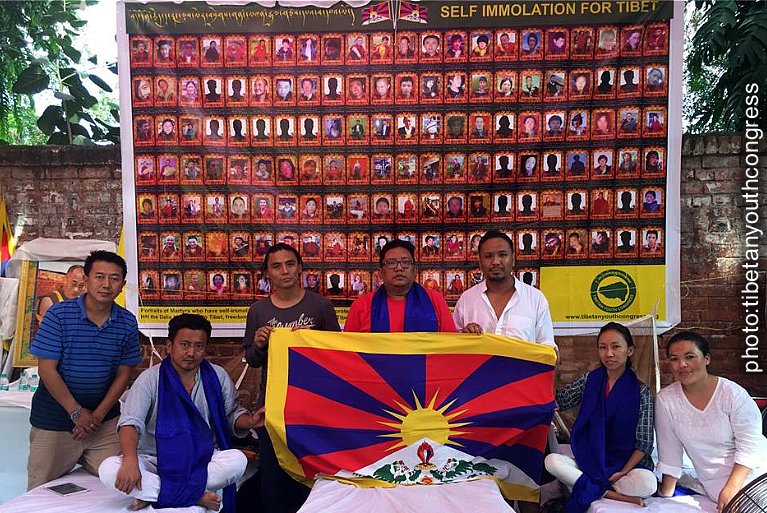 Urge China to address the demands of the Self Immolations in Tibet. 3. Urge China to give evidence that the 11th Panchen Lama Gendun Choekyi Nyima is alive. 4. 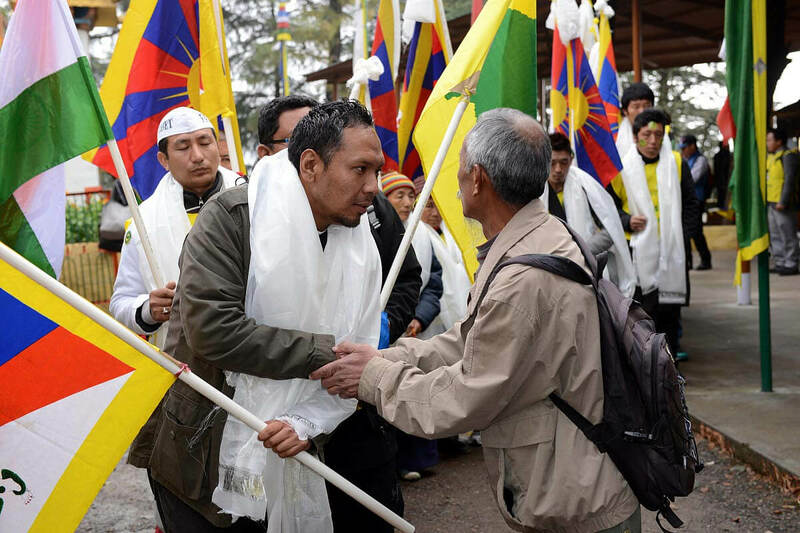 Send a fact finding UN delegation to assess the current critical situation in Tibet. 5. Urge China to release all political prisoners. 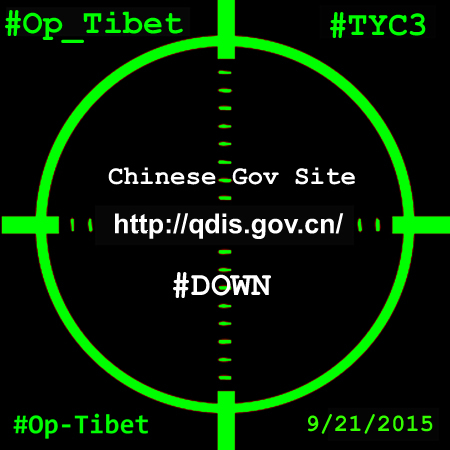 Anonymous hacktivists have today reported on Twitter another attack against a Chinese government website, this time ‘Operation Tibet’ has targeted a regional police website which seems to have been taken offline. 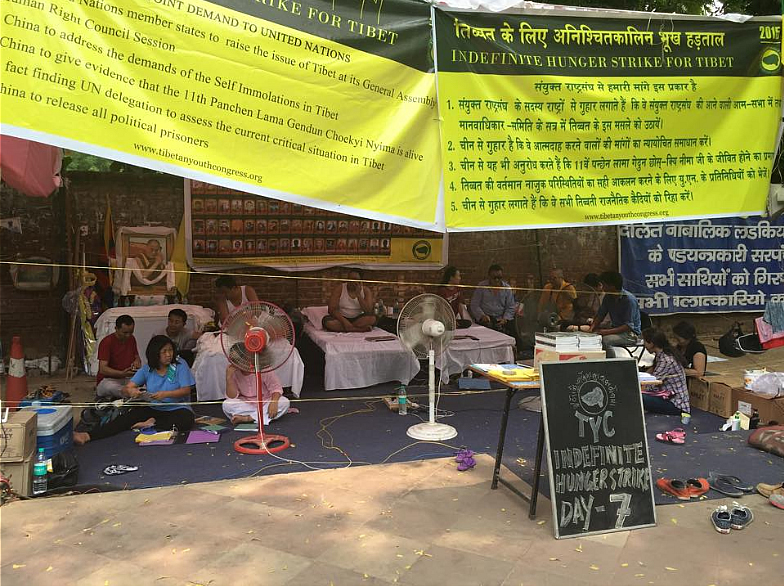 This latest strike coincides with the visit of Chinese President Xi Jinping and also follows other actions this week in which ‘Anonymous’ issued statements supporting the ongoing hunger-strike by members of the Tibetan Youth Congress. 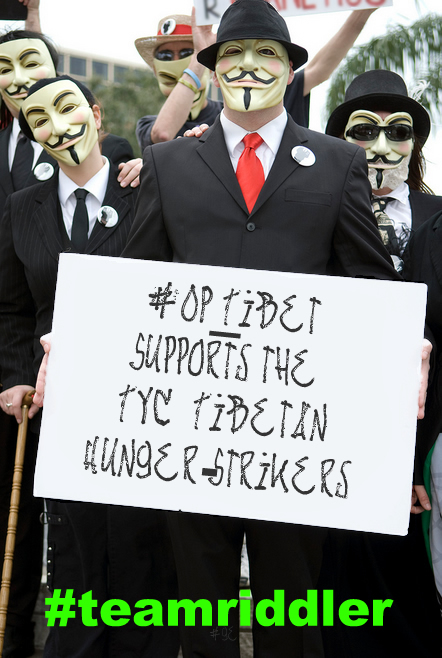 As the three Tibetan hunger-strikers continue their painful and courageous action demanding action from the United Nations they have received support today from an Anonymous hacking collective called ‘Operation Tibet’. 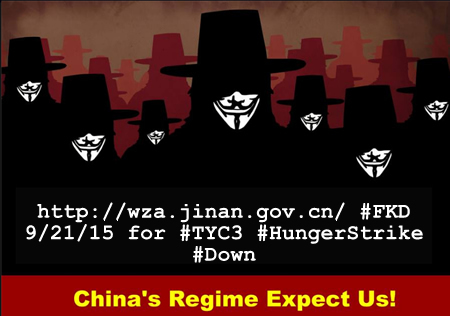 News posted on Twitter reports that Chinese government websites are today being targeted to show solidarity with the hunger-strike. 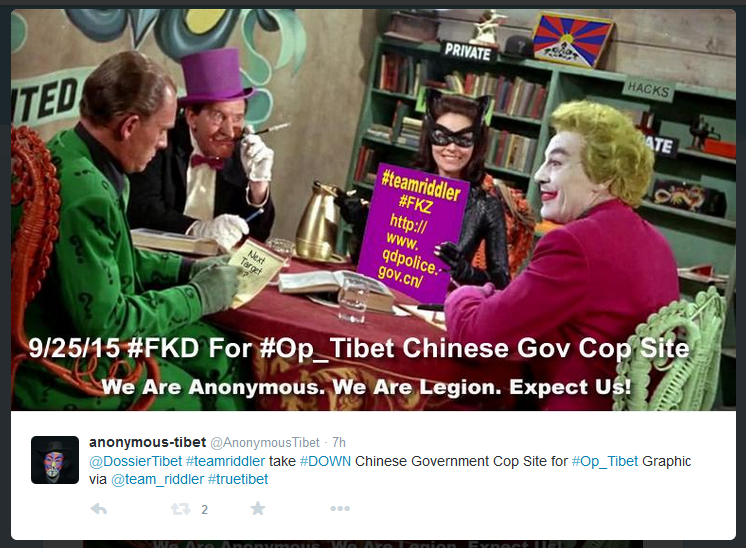 At the time of this posting three such targets had been reported as taken offline. 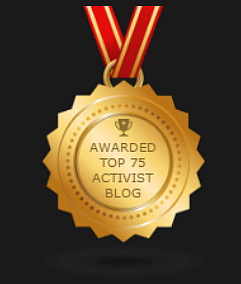 Many thanks to @tibettruth @FibsFreitag @plutoscave @team_riddler and @AnonymousTibet for sharing news of these actions. 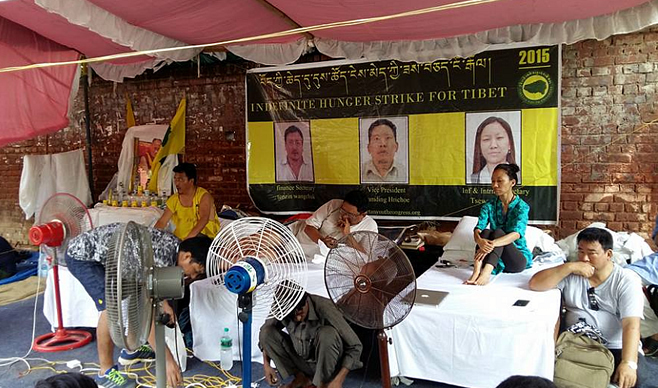 Eleven days into their hunger-strike demanding action on Tibet from the United Nations and the activists of the Tibetan Youth Congress remain resolute in their action, despite their condition. Please show your solidarity by signing the petition below, share the link on your Facebook page and share with your followers on Twitter. Let’s get news of this action out there! Day nine for the hunger-strikers (wearing blue scarfs) of the Tibetan Youth Congress, an action that is demanding action on Tibet from the United Nations. Support the TYC3 by signing and sharing this petition, help spread the word! 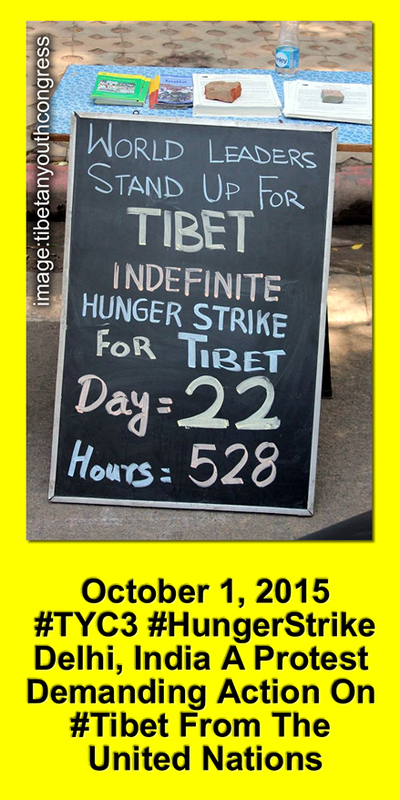 Please show your support for the Tibetan Youth Congress hunger strikers by adding your signature to the petition demanding action on Tibet from the United Nations.